Crowdfunding can turn out to be a formidable weapon for your video projects. With more than 500 specialized platforms in all fields, you have the choice! Each crowdfunding solution offers several contribution options for participants. It can be a simple donation (or counterpart) or participatory lending. This form of investment is democratized and attracts more and more viewers craving original contents. But crowdfunding was not born with the Internet. This system appeared in the 18th century, and helped with the construction of the Statue of Liberty thanks to the donations of thousands of people on each side of the Atlantic ! 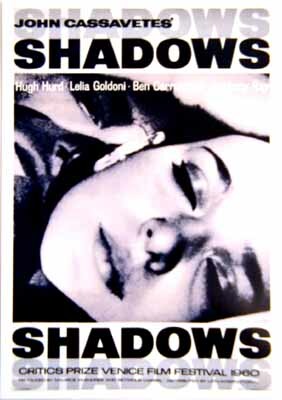 Another example particularly correlated to our / your activity, is the original financing of the film “Shadows” of John Cassavetes. We are at the end of the 50’s. The director throws a challenge on the radio saying: “It is possible to make a film disrupting commercial diktats imposed by the studios, if all listeners send me a dollar”. Cassavetes received 2000 cuts of 1 dollar after its passage on the show ! Later, the shooting begins (with much improvisation) and it’s now considered as a milestone of American independent cinema. You got it, crowdfunding is a lever that can drastically transform your video project. For the financial aspect, you’re going to tell us 🤑 ! Yes indeed, but not only ! So yes of course, let’s start with the initial interest of crowdfunding : financial needs. Making a movie, series, an entire web series or launching a VOD platform can be exorbitant. That’s why crowdfunding platforms are there ! This also allows you to present your film in more detail. Indeed, thanks to the video pitch, you can for example increase by 4 your money pot. Yes, because we are not going to lie, a picture is worth 1000 words and it is always more interactive than a huge and boring text. Using crowdfunding is a good alternative to bypass the bankable industry, often not paying attention to independent producers. More and more of them voluntarily choose to leave the fate of their film in the hands of the community. Other producers of content also fancy the rehabilitation of some films on digital platforms (VOD or SVOD). There is an infinity of videos lost in the ocean of contents, and sometimes, betting on a left out program, can be profitable. In short, crowdfunding gives back money, and thus give power to the public ! And it makes a real difference ! However, crowdfunding it is not all about the pecuniary aspect. People who have invested in your video project will obviously follow it until the Big Launch. Your community can be gathered for several reasons. First of all : tomorrow’s audience is on the Internet. As you know, consolidating a community is the key basis for a successful project. As previously stated, crowdfunding campaigns are based on the retribution of your contributors. Often, if you offer an advantage (goodies, invitations to the premiere or to write their name in the credits), this can create the urge to participate. Everyone loves little attentions ! If you are working in a niche sector (yes yes remember, we talked about the subject in this article), you will gather a troop of enthusiasts who will make your project lively. Be careful, however, to give them enough material to fall in love with your video or universe. Make them feel loved in return. This is the beauty of the Internet: connect millions of people around a particular idea, without worrying about geographical boundaries. But do not forget: your fans are often in your first life circle : family, friends etc… don’t neglect them ! The community aspect is particularly strong. Your contributors often feel linked by a common cause: creating a project that would not have existed without them. This responsibility adds a strong emotional dimension, binding your audience into a true community. This is the main consequence of your community’s commitment. The new generations love social networks and all the tools they grew up with. This greatly favors the propagation speed and a snowball effect can happen very quickly. Sometimes, a simple idea can convince a myriad of people. Some individuals, will not necessarily be able to give money, but will be glad to share the info, and that is very valuable. More than ever, video is the format exploding today on the Internet. Propagation through virality is an extremely powerful lever ! And crowdfunding campaigns are often the real catalyst. Some filmmakers end up with very important communities following a crowdfunding. Having a large and active community can open you doors, and help for your discussions with potential broadcasters ! . Press and journalists like crowdfunding projects. Most of the time because they tell a beautiful story. Also because there is a strong local footprint, pretty interesting for their audiences ! In any case, creating a crowdfunding campaign allows you to get the right angle to contact journalists. >> With OKAST, you can plan to launch and broadcast a video project financed via crowdfunding. OKAST is perfectly suited for launching a crowdfunding project because it allows you to create your own packs (and even offer counterparts), to offer free copies for your donors, to share all the news of your project via a newsletter tool, and much more ! > In some cases, you can even put your film project on OKAST in ‘pre-sale’ to collect financing upstream of your project.